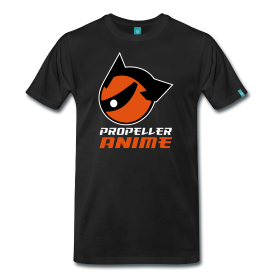 Propeller Anime: Here Comes An Action-Packed December Weekend! 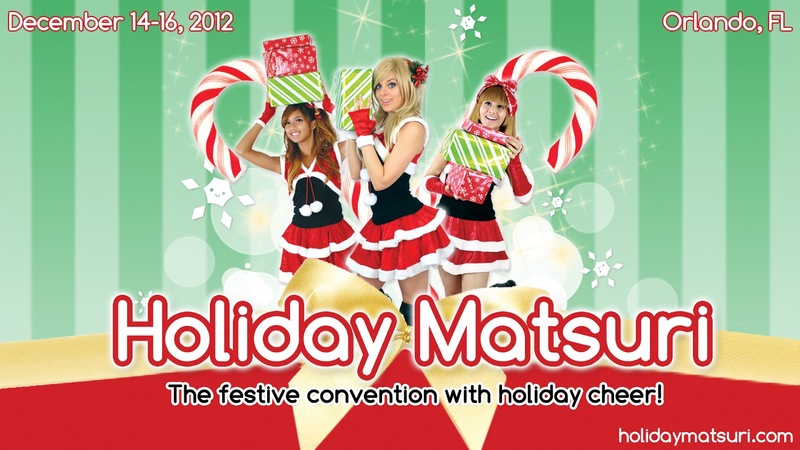 Holiday Matsuri is the last Florida convention of 2012! Holiday Matsuri is the last convention with anime programming to take place in Florida this year! If you've been to an anime convention in Florida, you know what to expect. Guests this year include J. Michael Tatum, D.C. Douglas, Quinton Flynn, Todd Haberkorn, Richie Branson, and The Chalk Twins! As you can see from the graphic, they are having a huge emphasis on their Maid Cafe. They are having a Toys For Tots dance that grants entry with a toy donation. 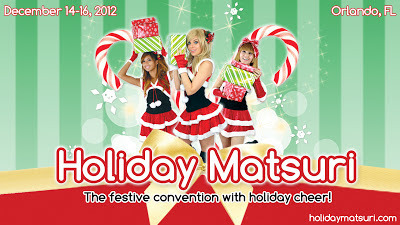 Holiday Matsuri will start tomorrow and go through Sunday! 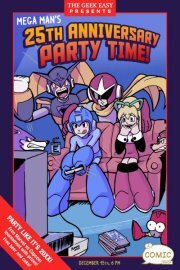 Party Hard with other Mega Man fans! Super fighting robot Mega Man turns 25 next Monday! Congrats to the Blue Bomber for staying relevant with gamers so long! This Saturday evening, there will be an event at A Comic Shop to celebrate with videogames, tournaments, live music, free beer, prizes, costumes, cake, art tables, and more! RSVP on Facebook. We had an awesome holiday party last week and Bikkuri as the location was a good reason for that. There will be another party there this Saturday night! N3RD Night this month features headliner Under Polaris and DJs Hex and Spank. 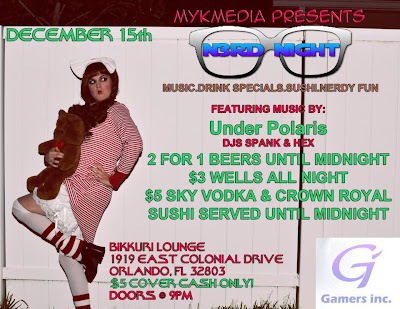 Plus there will be videogames to play while partying! RSVP on Facebook. 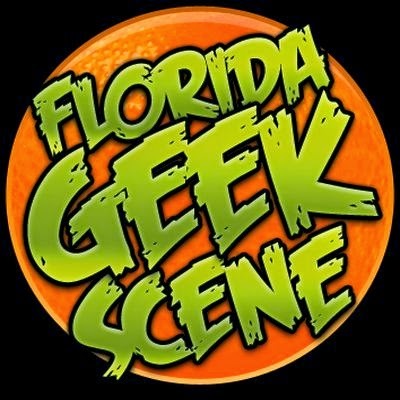 Watch anime at Anime Orlando Inc. Sunday evening! At the end of each month, Anime Orlando Inc. hosts their "Golden Theater Time" which is a showing of an anime or live-action movie. This time, they're showing something called "Downtown Batsu (punishment) Game - No Laughing Hot Spring Innl" RSVP on Facebook. That's a lot of stuff to look forward to, so there is no reason whatsoever to stay inside all weekend! 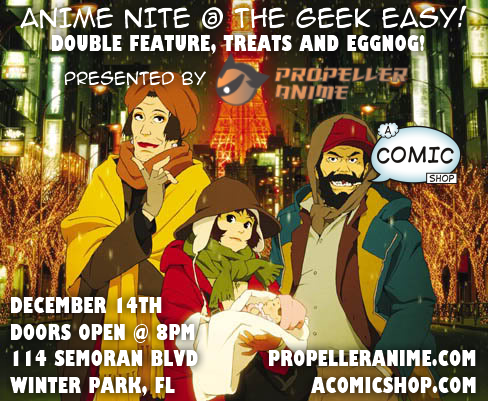 We hope to see you for Anime Nite tomorrow night at A Comic Shop and that you have a fantastic weekend!